On the edge of town near Concord, Massachusetts once lived a man who stepped outside the mainstream, settling into a plain, tiny cabin with few amenities. He spent almost no money. He suffered no unnecessary responsibility. He was one with nature and he learned to appreciate the simple pleasures in life while declaring his independence from the rest of society. The year was 1845 and the man’s name was Henry David Thoreau. His experience is detailed in the famous book titled Walden. It details a reflection about simple living and self-sufficiency in natural surroundings while living in a tiny cabin. Over 170 years later an interesting phenomenon has taken place where people want to simplify their lives. This movement that allows people to be more self-sufficient and to live utilizing fewer resources in order to minimize their impact on the environment. It is called the tiny house movement. As you may have guessed, a tiny house is simply a very small home, normally less than 400 square feet in size. All over the country and the world, people are trading in traditional homes for smaller and more eccentric versions with little in common aside from their size. Their reasons for doing so are as varied. The architect and author Sarah Susanka has been credited with starting the movement when in 1997 she published the book titled The Not So Big House. Soon, others joined the scene and began following her philosophy of “building better, not bigger” and spreading the word about the merits of simple living. While some built them in cities, others wanted to stretch their simplicity to the limit, opting for rural, rustic, or even off-grid homes. Some are on wheels, others stationary. Some use a city’s utilities, others are entirely autonomous. Many of these pioneers wished only to live according to the advice of their forefather, Thoreau, and “simplify, simplify.” However, as word spread about this growing community of people living in their tiny houses, they became known less for their lifestyle philosophies and more for environmental conservation. After adding a bed and a few appliances, an owner quickly finds they must get the most out of every square inch. The limited dimensions always force builders to assess the things that are most important and prioritize them accordingly. Maximizing space often requires being smart not just about the floor and walls, but also the ceiling. To capitalize on otherwise unused space, many tiny house owners create one or more lofts for storage or sleeping. Designing a tiny house in such a way that it satisfies the owner’s need for comfort and utility involves a lot of planning and an imaginative use of space. It can be a tall order in a society where even middle-of-the-road financial success allows a person to amass collections of unnecessary things. “Going tiny” normally forces one to pare down his or her possessions. The design must accommodate a person’s final inventory, which includes the stuff that reveals the needs, hobbies, and values of the resident. Kacey and Catherine’s dwelling is no exception. Sporting a 24’ by 8’ trailer as a foundation, their new home showcases the things that are most important to them. The dual-purpose washer-dryer is the first appliance to indicate a characteristic of this couple. Catherine, admittedly “not stylish,” isn’t nitpicky about her clothes. Sizing down her closet in preparation for her move into their new place was easier than she thought. Their other appliances are less revealing. A nearly full-size refrigerator, big enough to hold a week’s worth of food, is no smaller than you’d find in a New York City apartment. The oven has a range and is capable of cooking a moderately-sized turkey inside. The standing shower is also pretty average. Of the day-to-day fixtures one would expect to find in any home, it is the Copebecks compost toilet that is most jarring. Plumbing, especially with regard to waste, is often one of the biggest challenges that a tiny house builder faces. 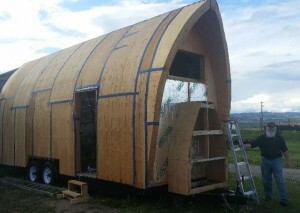 Some choose to set their foundation on the ground and connect to traditional sewage, but Kacey and Catherine’s house is on a trailer so they have a toilet similar to one used in an RV, which requires collected waste to be discarded. Lacking a city sewer hookup and with running water at a premium, there are certain sacrifices that had to be made, and this is just one of them. With tiny houses, sometimes the outside can be just as inventive as the inside. Consider Gordon Nelson, a Computer Services Professional living in Bozeman, MT, who built his own tiny house. As an avid fan of architecture, Gordon wasn’t satisfied with an orthodox design for his creation. He decided from the outset that just because he was going to live in a house the size of a shoebox didn’t mean his home had to be the shape of one. The most recognizable evidence of his hobbies is literally hanging from the walls. There, draped across his biggest window, is a 60-inch projector screen he uses to watch movies and play video games. To some, his commitment to the lifestyle changes required by a tiny house may seem unusual. After all, Gordon seems better suited for the gaming table in the back of a comic book shop than for a 160 square foot Gothic arch on wheels. The long and the short of it is that tiny houses are not a phenomenon limited to those people whom we expect to have them. The amount of energy required to heat one or two rooms in a normal size house can easily warm or cool the entire living quarters of a tiny house. Since they have small dimensions, adequately insulated tiny houses require minimal energy to heat and cool. This not only saves money, but improves the air quality, and its minimal impact is better for the environment. What’s more is that economy of space demands compromises in either the size or number of appliances. It’s rarely possible to have a full-size washer, dryer, fridge, stove, microwave, and dishwasher (hence the Copebecks’ dual washer-dryer). In order for the house to be anything other than a series of aisles and hallways, these energy-sapping appliances simply must be limited in number or dimension, significantly reducing the overall power usage of the home. The mobility of trailer-built tiny houses means that many are detached from dependence on a city’s power grid. In order to keep the lights on, most tiny housers must resort to less traditional sources of energy. Fuel-powered generators, such as the one that Gordon uses, are one option. This option is good for places such as Alaska because there are times of the year where it is dark 20 hours in a day. On the other hand, many owners, including Kacey and Catherine, turn to solar power as a sustainable energy source with long-term cost benefits. Solar works great for them as they live in a location with ample sunlight. Clean water storage is also an issue that promotes the responsible use of resources. The Copebecks house depends on tanks to hold their water. Want to wash dishes? Take a shower? Launder some shorts? Every drop comes from the same tank. That leads to an increased focus on water usage. For other tiny house builders, that “awesome perk” is more than just a corollary benefit: it’s the whole point. Tiny house living requires people to be purposeful in how construct and manage their home. It emphasizes the importance of insulation as a means to conserve energy required for heating and cooling. Going tiny also promotes “as-needed” use of electricity and water. In addition to saving money, tiny life is good for the environment. Before HGTV brought tiny houses to the attention of naturalists, minimalists, and environmentalists everywhere, they were appreciated only within a small population of passionate fans. However, because of that attention, more and more people have opted to build and live in these tiny homes. Some outspoken converts advocate going tiny almost exclusively for ecological reasons. After all, most tiny housers do have a remarkably small environmental impact. The reason why is no surprise. It’s all in the house. Shed-sized homes have smaller-than-usual carbon footprints, create less waste, and demand fewer resources than a standard-sized home. Many designers and builders do focus on the overall footprint of the houses they create. After all, there is a lot to consider when designing and constructing your own house. Whatever the reason, many industry veterans stick to their commitment to low-impact housing. The end goal for most of these tiny house makers is to create homes that are “net-zero”. A net- zero home is one that has no negative environmental impact. They often use fewer materials, most of which are recycled. Their energy sources are by definition sustainable, with solar power leading the way as the preferred source. One of the main benefits of net-zero housing is that the environment considerations are often built directly into the house. This fact is a testament to the dedication to sustainability on behalf of the designers, builders, contractors, suppliers, and amateurs who build them. Buildings in America are to blame for nearly three quarters of all electrical usage. While that includes buildings of all types and sizes, there are millions and millions of houses, using electricity to the tune of 640 kWh per year. (And that’s just for the lightbulbs!) Tiny houses, on the other hand, use less than 15% of the electricity used in the average American home. They don’t just consume resources, either. It’s also about what they emit. Heating, cooling, and powering your home is responsible for the release of thousands of pounds of carbon dioxide annually. If we’re talking once again about that “average” home, then the discharge totals roughly 14 tons of pollution. The normal tiny house answers for only a single ton each year. Extrapolate those differences over hundreds of thousands of tiny houses and the results could be life-changing. Alternatives to renting vary according to where one lives. In heavily populated areas, low income households may have to stay in projects. Stringent policies and potential safety concerns can be an issue here, though the main issue once again is the inability to aggregate wealth. In more rural areas, there is an ownership route for low-income people: mobile homes. But while not all trailer parks fit the stereotype that comes to mind, many do. Gordon’s personal experience sheds a little light on this form of low-income housing. “My mom used to live in a trailer park when I was a kid. It wasn’t all bad, but I didn’t like trailer parks. There’s this idea of a trailer park that’s hard to overcome even when you live there. On the other hand, according to Gordon, tiny houses present an “upmarket alternative” to the conventional mobile home. Often more affordable and rife with character, tiny houses trump the trailer in more ways than one. In fact, they often prove to be a better option for low-income families across the board because, as a path to financial freedom, tiny house ownership makes a lot of sense. 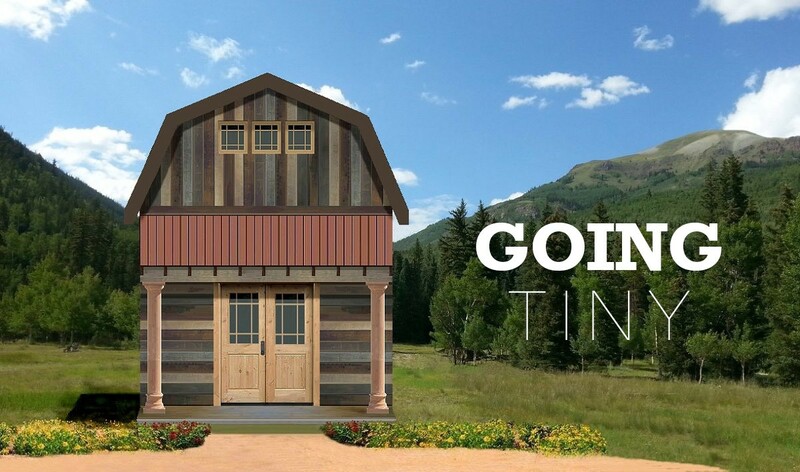 On average, the price tag of a pre-built tiny house is roughly $40,000. By comparison, the median cost of an American home runs approximately $170,000. And depending on where you live, the average house cost can be significantly higher. For those who choose to build tiny houses (as Gordon, Kacey, and Catherine have all done), the costs can be far lower. 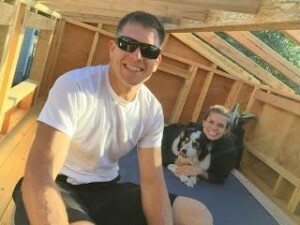 Ryan Mitchell, the man behind TheTinyLife.com and organizer of the Annual Tiny House Conference, insists that doing it yourself can normally be done for just over twenty grand. That’s as low as 10% of the price of a normal-sized American home. If you factor in the private mortgage insurance, interest owed to your lender, and property taxes, the tiny house is a fantastic financial decision. Americans have continued to seek out bigger and better things in every aspect of their life. We’ve all heard the myth: success in America is a six-figure job with a corner office, a palatial estate, and a car so big that it rivals the buses of your local high school. It’s a mindset that has seeded itself deep in the American psyche. Nowadays, most people see a large house as the sign of success. So people strive for homes that are bigger and bigger. The problem is that most people can’t afford a mansion and since the real estate bubble burst, most individuals and families can hardly afford housing at all. When asked why they would choose to abandon the attractive, regular-sized home in which we are currently speaking for the one on wheels in their backyard, Kacey seems to come to life. So many have followed the path set before them and failed. They pursued a four year degree and were unable to put it to use. They bought a house and had it foreclosed upon. They invested for their future and watched their investments dissolve before their eyes. Retirees, no longer tied to a location by full-time employment, are some of the biggest proponents of going small. According to Ryan Mitchell, the managing editor of TheTinyLife.com, nearly 40% of all tiny house owners are over age fifty. A tiny house is a great aid toward achieving some of the common goals of retirement. Mobility allows for comfortable travel, close quarters provide more time with a partner, and who hasn’t heard retirees allude to their need to size down? For the individuals who choose (or are forced into) remote employment, a traditional house may no longer be a necessary investment. Many people choose a place a live and stay there for the long haul, partially because employment requires it. As the proximity-related ties to our employers are severed, more people will have the freedom to move often and travel freely. Such lifestyles are conducive to tiny house living, even if it isn’t the norm. Are Tiny Houses the Answers? Regardless of your situation, tiny houses present themselves as an alternative way to live your life. They separate you from the crowd and provide you with flexibility and freedom to live where you would like to live. It helps you conserve energy and become more environmentally conscious. It also offers an affordable path to home ownership or the ability to reduce your debt. While it does have some great benefits, Kacey admits that while a tiny house fits the bill for them, it shouldn’t be viewed as a permanent culture shift for the population at large. “I don’t think the whole word — or even half the population — needs to be living in 250 square feet.” Tiny houses are not suitable living arrangements for everyone. Large families would find themselves unnecessarily cramped living in less than 400 square feet. Tiny houses are not conducive for privacy either. So there’s not much room to escape when there is an argument in the family. The disabled and the elderly could also find that a tiny house proves problematic. Many people have difficulty paring down their non-essentials without even considering vital prescriptions, medical equipment, and safety apparatus. Coding and ordinance issues are perhaps the biggest obstacles that tiny house owners must overcome. Put simply, not everybody is on board with the tiny house movement therefore it is not always easy to find a place to put your home. The best solution is to talk to your local zoning board. In large cities, you probably won’t have much luck, but smaller towns may be more flexible. There are many facets of tiny life that one must consider before making the plunge. Although they have some features that would be beneficial for anyone, there are certain characteristics that make a person particularly well-suited for tiny life. 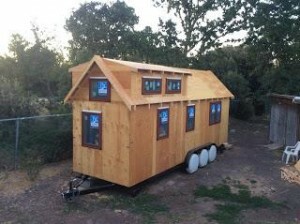 Tiny houses are a perfect starter option for people putting on their homeowner training wheels. Students, single parents, low-income families, and the newly divorced are all segments of society for which a tiny house makes sense. It is also good for those who want to downsize after retirement or those who want to be location independent. Most of the time, going tiny is little more than basic math. If the benefits outweigh the costs, it’s a good choice. It matters less and less that tiny houses are nontraditional. A growing range of converts are entering the scene. As the organizer of the premier tiny house conference in the United States, Ryan Mitchell has unique insight into the tiny house population. He sees things beginning to change. “I think maybe 3–4 years ago, the community was pretty homogenous. Over the past couple of years,” Ryan continued, “we’ve seen a lot of diversity which is great.” The community has grown to include people from all walks of life. Nowadays, you’re just as likely to see an accountant grilling on his propane stove as a hippie preaching about the merits of veganism from the loft. Still, an exodus from homes over 2,000 square feet seems unlikely. Even as tiny homes continue to command attention from reality television, news shows, and internet magazines of all stripes, most of the people intrigued by them stay put. When asked what the main difference is between the TV-watching fans of tiny houses and those who actually choose the lifestyle, Ryan had a simple answer. “Many are just self-aware. They are comfortable with who they are and their place in the world. [Tiny house owners] tend to be people who follow their passion,” even if only for a little while. Most of the people I asked couldn’t say whether they’d be in their tiny house in five years. Tiny house people aren’t content on the couch. The idea of doing things thrills rather than agitates them. To them, life is an adventure rather than a chore, and they’re willing to try something fun to make it better.